Production complex of Ukrnuts Group is located in an environmentally-friendly region of Ukraine - Poltava region. Only 7% of the world's land is suitable for walnut cultivation. The territory of Ukraine is 603 628 square kilometres and walnut grows in almost all of our territory. The unique composition of the soil and the climate contribute to the fact that the most delicious nuts are grown on the lands of Ukraine, and this has been recognized by chefs from around the world. 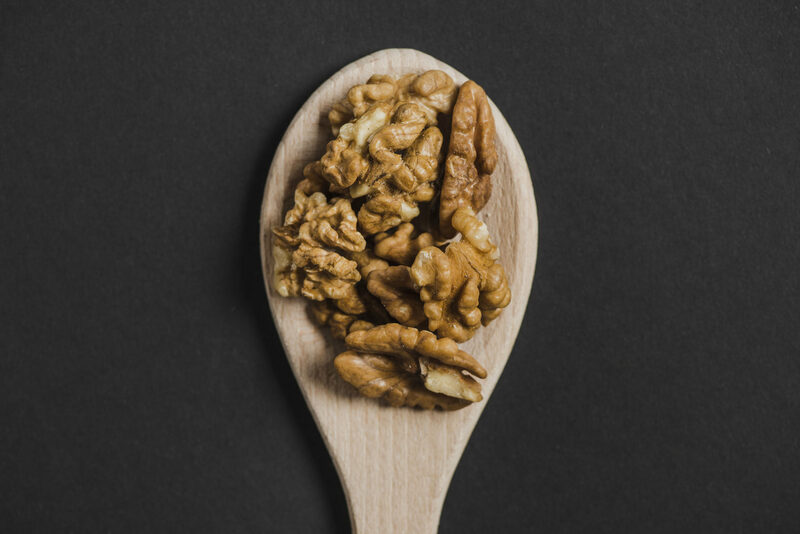 Ukraine is among the top ten exporters of whole walnut and one of the top 5 exporters of split walnuts. For more than seven years, we have been collecting, processing, and exporting nuts to more than 20 countries of the world on all continents. UkrainianNuts group of companies is the largest supplier of walnuts among the population in all regions of Ukraine. A developed network of UkrainianNuts procurement bases allows for the collection of a significant part of the harvest. Every season we procure the highest quality raw materials in ecologically clean regions of Ukraine, and concentrate on our warehouses. Quality control of our products begins from the moment of harvest. For this process, we use a separate calibrator with a primary cleaning function of 5 meters in length, this allows us to achieve 100% product hit in the calibre, while most companies continue to use one calibrator for all calibres at once, with a large selection error. On the territory of our production there is an own artesian well 170 meters deep, with a filtration complex. This allows us to use the purest water without chemical impurities for washing nuts. Washing occurs by passing the nut through the system of soft brushes, without using chemical or other additional processing. This allows you to achieve a high degree of purification and ideal appearance of the walnut, while maintaining its natural texture. All our equipment is made of food grade stainless steel that meets the highest standards of the food industry. After drying, nuts are sent on an automatic line for inspection, where manually our staff sorts out the defects in an accordance with strict regulations. Our production is equipped with the processing line of the French company 'AmbRousset' - the European leader in the production of agricultural equipment. The whole nut is cracked and the kernel of the nut is placed in the drying chambers, where it dries at a temperature of 40-50 degrees, until the core reaches a moisture content of no more than 5.3-5.8%. After drying, the core is sent to the calibrator vibro-separator, where it is calibrated into fractions 1/2, 1/4, 1/8, after which each fraction is separately sent to the separator for additional cleaning from the shell and partition. The nuts are then sent to the individual line to be sorted by color. Our packaging line allows packing and packaging in all existing types of packaging that are required by the client. All packaging is certified and has the right to be in contact with food. Whole walnut is packed in a European mesh bag. The kernel of a walnut is packed, in boxes from a five-layer cardboard with grease-resistant paper on 10 kg. If necessary, we can produce additional packaging in vacuum bags for food 5kg to ensure biological safety during transportation and further storage. Before shipment to the customer, packaged products are stored in our warehouse with a storage temperature of 3-8 degrees.